A day in the woods foraging for wild foods. On this seasonal course we will be focusing on edible fungi and their identification. This foraging fungi course focuses on finding and identifying different types of Fungi. We will look at the different habitats they grow in, their different shapes, spore prints, features and family groups. We will have a walk through our private woodland collecting and recording our finds and back at the barn learn how to go about identifying them. A nice warm ‘mushroomy’ lunch cooked over an open fire sets us up for the afternoon session when we venture out again to a different area of the wood. The different tree species here are associated with different fungi, so it’s ‘eyes peeled’ for some more fungi types to identify. When we return to base we look at the fungi families and identifications are confirmed. To round up the day we cook the edible mushrooms that we have found for you to try. The course fee includes lunch, hot drinks and biscuits. If you have any particular dietary requirements please let us know on your booking form. Safety is of paramount importance when fungi foraging, we will show you how to collect fungi in a way that will give you all the information you need to achieve the correct identification. We are strong advocates of responsible and sustainable foraging techniques. We will show you how to collect your wild edibles in a way that will have minimum impact on the landscape. 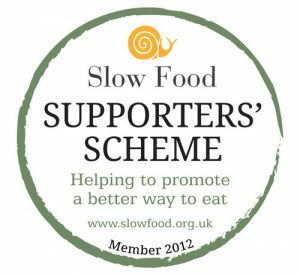 We will also teach you about the legalities of foraging mushrooms and how, where and when you can forage for food, whilst keeping on the right side of the law.